While new Browns quarterback Johnny Manziel isn’t expected to start over Brian Hoyer, it won’t be long. 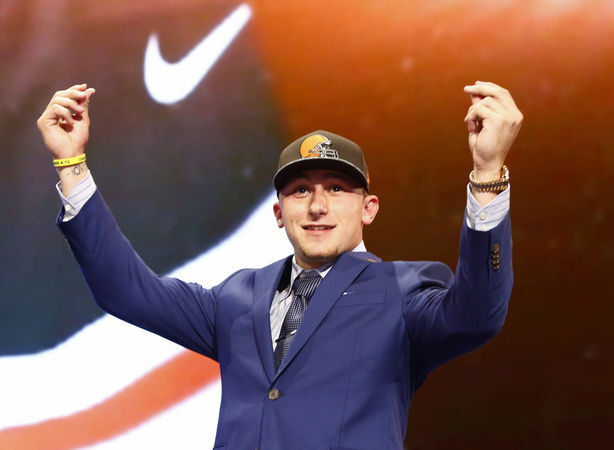 Hoyer dynasty owners had their pipe dreams dashed last night when the Browns traded up to snag Manziel. Mike Glennon appears safe in Tampa, for now. The Bucs drafted receiver Mike Evans over a quarterback and Lovie Smith, apparently, loves him now. Even before the Bills drafted Sammy Watkins, it was apparent Stevie Johnson was on the block. That appears even more likely now. This entry was posted in Daily Update, NFL Draft and tagged johnny manziel, mike evans, mike glennon, sammy watkins, stevie johnson. Bookmark the permalink.